The original article by John Bohannon ‘Who’s afraid of peer review?’ has received a lot of criticism, mainly because of its own flawed scientific methods and lack of peer review. Despite this, the controversion has yet again made clear that there is a problem with so-called predatory Open Access publishers and it’s also obvious that prompt but nuanced reactions from the major players in OA publishing to ‘stings’ like this are a necessity. 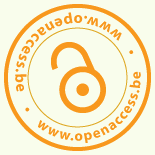 Given the eagerness with which the article was cited by popular press the perception problems that come with Open Access publishing might be a threat to the whole movement, despite the fact that a majority of OA publishers don’t even ask for Article Processing Charges, and some Open Access Journals have the highest publication standards in their fields! Science Mag sting of OA journals: is it about Open Access or about peer review? Posted on October 4, 2013 October 8, 2013 by Gwen FranckPosted in NewsTagged oa journals, peer review. To be honest, I’m quite in favor of the open access movement and I’m glad that a site as PLOSOne did reject the paper.